save up to 70% off! Interested in our watches? 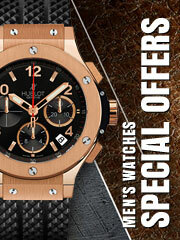 Email us at: sales@watchshopping.com or call us at: +1 650-419-9900, weekdays 9:00-17:00 PST. 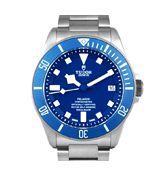 Based in Geneva, Switzerland, Tudor watches was founded by the same founder of Rolex - Hans Wilsdorf. Hans wanted Tudor to be the more reasonably priced option when it came to an alternative for his brand Rolex. 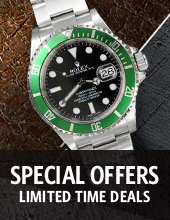 As a sister company to them still, Tudor watches are doing very well for themselves. 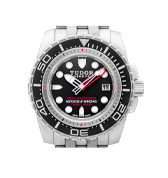 Having watches specializing for the military and professional divers, Tudor watches have proven to be durable and reliable time and time again. 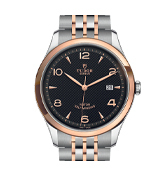 Swiss brand “The Tudor” also known as Tudor, a subsidiary brand under Rolex, was born in February of 1926 in Geneva. The idea of the brand came when Hans Wilsdorf, one of the Rolex founders, wanted to create a more affordable watch that could appeal to the masses. 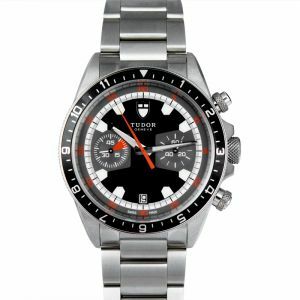 The importance of Tudor brand watches that Wilsdorf wanted to emulate is that it would follow suit in dependability similar to what Rolex is renowned for. The first set of watches was released in the Australian market in 1932, exclusively to the Willis company to distribute them only to the best jewelry stores across the country. 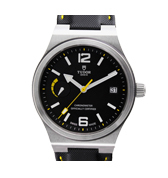 The initial design of Tudor watches appeared in a rectangular shape with beveled sides. 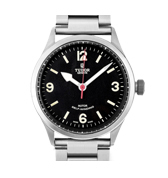 On these Tudor-signed watches, the Tudor logo can be seen as a signature with a “long T” above the other letters. On some rare vintage Tudor watches, some may even find the Rolex name on these pieces to guarantee Tudor’s quality in its field as the company began to build its brand. During this time, some luxury watches even featured double named dials depending where they were retailed. 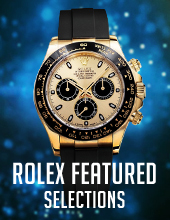 Leading up to 1990, many timepieces actually used Rolex Oyster cases and crowns before they manufactured their own independent materials in house. 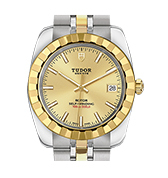 Tudor’s designs were thoughtful, functional, and contemporary with watches designed for both men and women in mind. By 1946, Hans Wilsdorf formally expanded the brand and focused on cultivating its identity under the “Montres TUDOR S.A.” company. 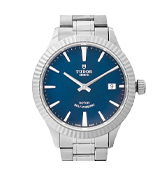 It was apparent that Wilsdorf wanted Tudor to have the same reliability and integrity of Rolex. He was confident and ready to take this brand onto the next chapter in history. For Tudor specifically, he included the Oyster case and auto wind movement along with the full Rolex guarantee – which still stands today. In 1936, Tudor’s logo changed from having only the signature to shield bearing the Tudor rose. 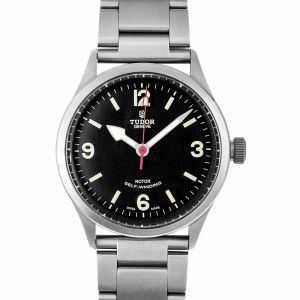 From 1947 and on, Tudor has embraced an updated logo that consisted of a finely drawn company name and rose, disappearing the shield. By 1969, the company has evolved into its current logo resurfacing the shield leaving the rose behind. As the company went on to create more innovative and functional timepieces, the brand introduced their first Tudor dive watch in 1954, known as the Tudor Oyster Price Submariner reference 7922. With numerous versions and improvements over time, their Submariners were able to advance in many sectors to reach new depths and heights in result of creating an optimal divers’ watch. A few of Tudor’s excellent dive watches is the Tudor Pelagos, the complete mechanical divers’ watch with waterproof levels up to 500 metres and the Tudor Heritage Black Bay, an iconic collection for over 60 years. 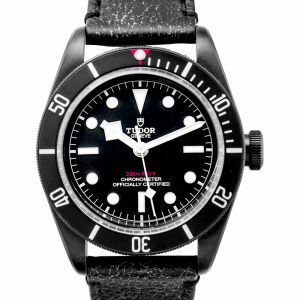 The Tudor Black Bay series has evolved with newer models. The company released the Tudor Black Bay Chrono at Baselworld 2017 which is now available and features a self-winding movement powered by the brand’s very own manufactured caliber MT5813. Currently, the latest model released is Tudor Heritage Black Bay Fifty-Eight, launched in July 2018. This watch is designed for slims wrists and vintage fanatics. The brand had to downsize its previous 41mm in diameter with 14.75mm thickness to a new thinner model measuring 39mm in diameter and only 11.9mm in height. 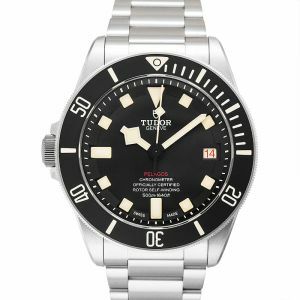 Therefore, this watch was only possible with the creation of a new slimmer caliber – the MT5402, manufactured by Tudor themselves. To cover more on Tudor’s tool watches, the Tudor Fastrider was first developed during a collaboration between Tudor and Ducati back in 2011. 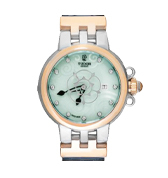 Its endeavor was to create a functional watch, dedicated to its sport and appealing in style. The sporty line is visually pleasing, dressed in bold colors, with impeccable details. For the Tudor Fastrider Black shield edition, this wristwatch features a precisely cut high-tech ceramic case to ensure the high quality and resistance offered. The high-tech ceramic itself is tough, sturdy, and scratch proof. 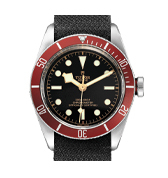 As Tudor continues to express its creativity and explore alternate styles, one of their iconic choices they made was to equip their watches with fabric straps. Since 2009, Tudor began offering fabric straps with their watches that has now become a part of Tudor’s identity. Tudor, working with Julien Faure – innovators in the fabric manufacturing industry with exception skills in weaving jacquard ribbons – engineered an incredible fabric with over 500 threads per centimeter in length. 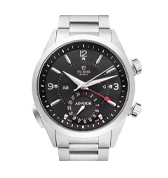 For a more refined look, the timeless Tudor Classic collection makes a fine choice for professionals. 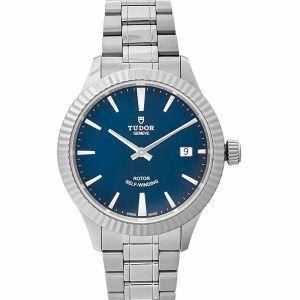 Available in both Tudor ladies watch and Tudor mens watch, this collection is divided under the Tudor Classic and the Classic Date-Day with a variety of case dimensions to choose from. 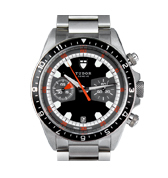 Those looking to buy Tudor watches online can compare the various styles available at Watchshopping.com. 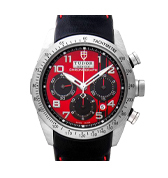 We make luxury watch online shopping convenient for shoppers to browse through our extensive collection of Tudor watches. 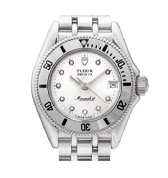 Whether you are looking for a Tudor men’s watches, a Tudor women’s watch or even a Tudor gold watch for sale - we will do our best to provide you with our best prices available. A sister company to the prestigious Rolex, Tudor watches deserves their own spotlight. The company was founded in 1926 in hopes to be the more affordable alternative choice for watches. And that totally worked. 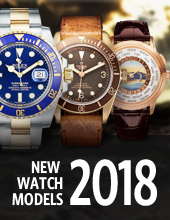 Some of their most popular collections includes the classic, Tudor Heritage Black Bay, Tudor Heritage, Tudor Pelagos and Tudor Heritage Ranger. What is a Chronograph and a Tachymeter? 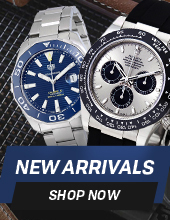 New to Watchshopping? Sign up to receive special offers & the latest news. 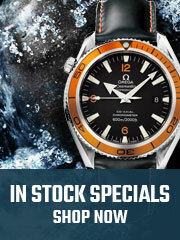 © WatchShopping.com. All Rights Reserved.